I finally received my free seeds from the Honey Nut Cheerios Bring Back the Bees campaign. 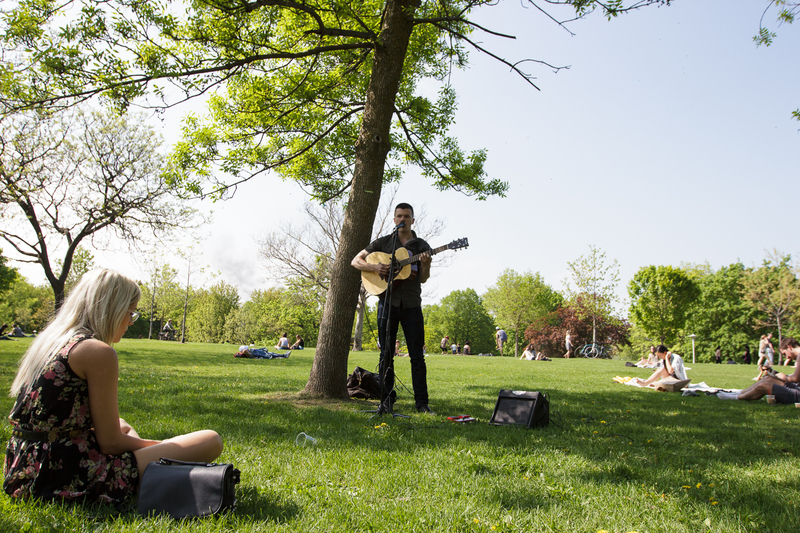 The premise is to get people to plant more flowers, in hopes that it will attract more bees. It’s not that viable to plant stuff in the city, so I’m hoping my parents garden will love the new addition of wildflowers. March 20, 2017 Categories Art, Crafts/DIYLeave a Comment on I Made Candles! Yesterday, at my friend’s bridal shower, we made Soy Candles! I learned that soy is better for the environment than regular wax, and healthier to breathe in. The pieces reminded me of mozzarella cheese. 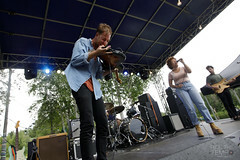 Instead, it looked more like this. I picked the one that smelled like cake of course. 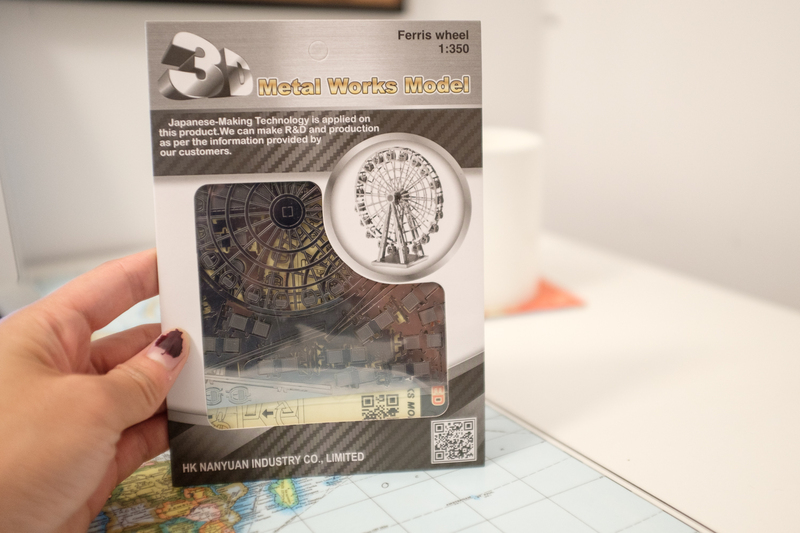 Now that I know how to do this, I want to research how much materials cost and perhaps make some on on my own! 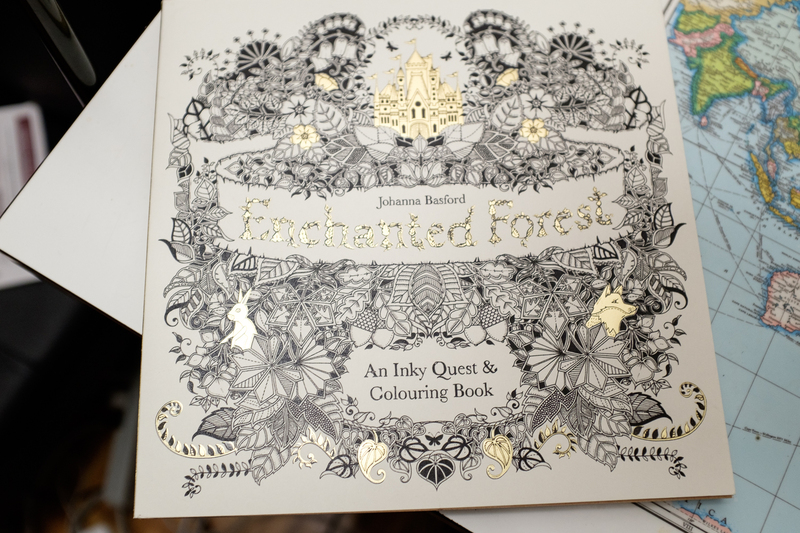 I craved to the adult colouring book craze. 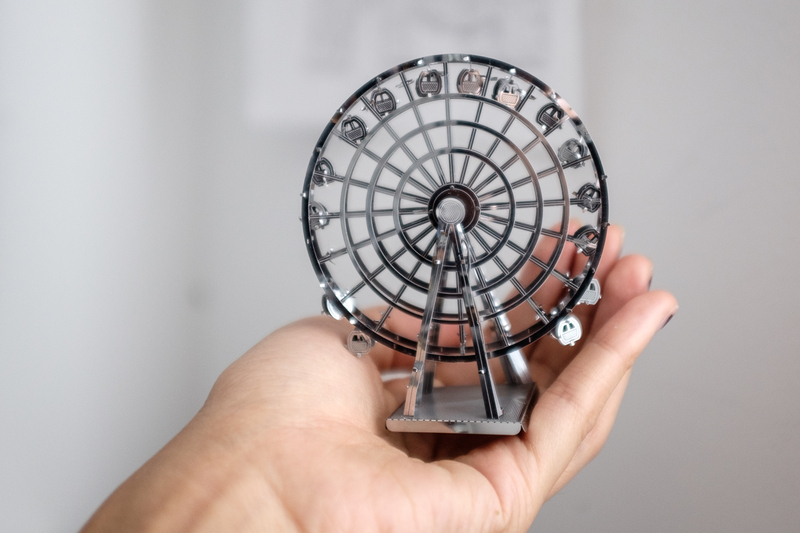 It is an activity that is super relaxing and gets your creative juices going. Colouring between intricate lines gets you focused on something else besides a busy life. It’s also relatively inexpensive to buy one with beautiful line work. 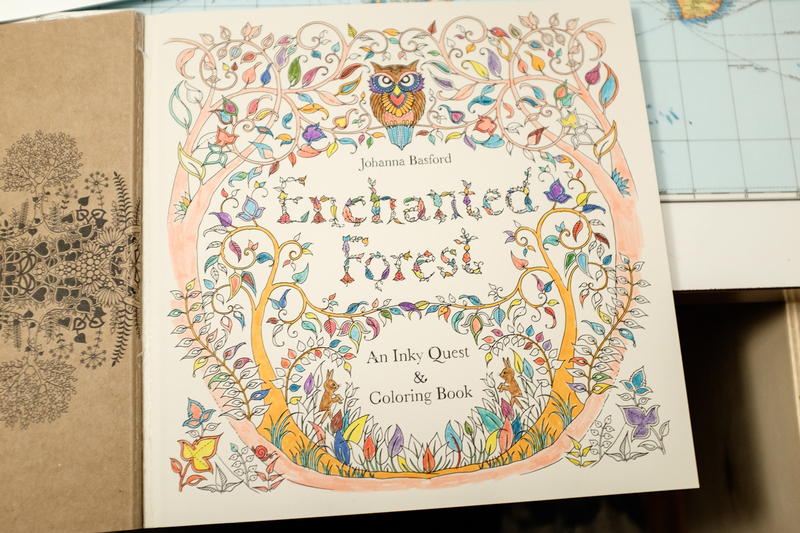 My sister has Johanna Basford’s Secret Garden, so I thought I’d get her second book Enchanted Forest. Can you believe this is just the cover page? It’s still a work in progress but it is done with a set of 50 markers. I think I’m going to do different sets of markers, pens, pencils, paint on each page since I own a lot of unused art supplies. I’ll be blogging my favourite pages as I make my way through this book. 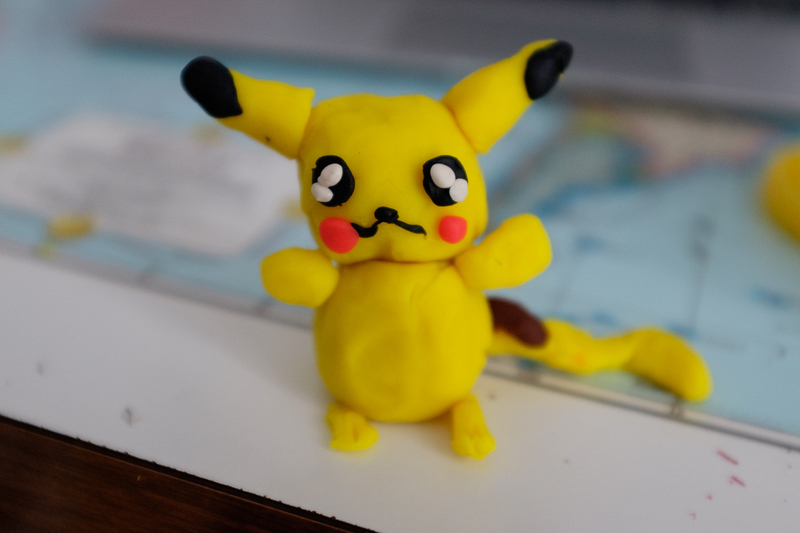 As you know, I started making Playdoh Pokemon and posting them on Tumblr as well as Instagram. Here are a few of my favourites so far! Who’s your favourite Pokemon? I’ll add it in my list of to-dos next! 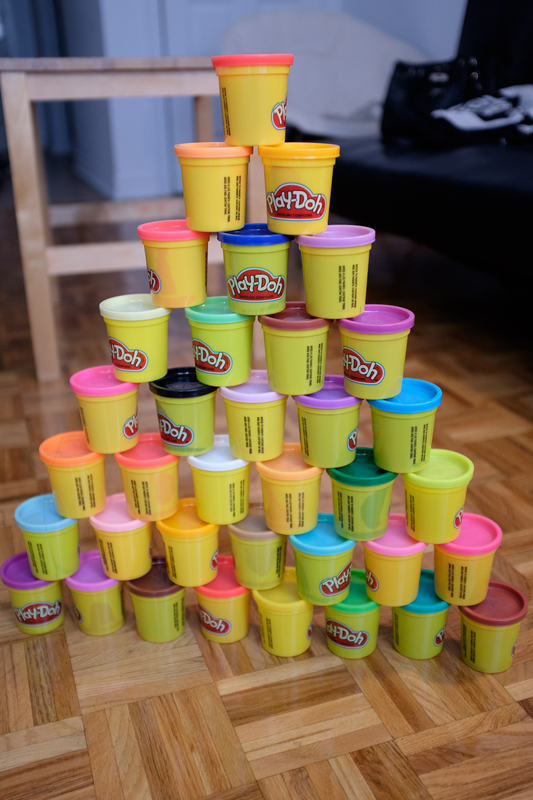 August 19, 2015 Categories Art, Crafts/DIY1 Comment on Playdoh Pokemon! 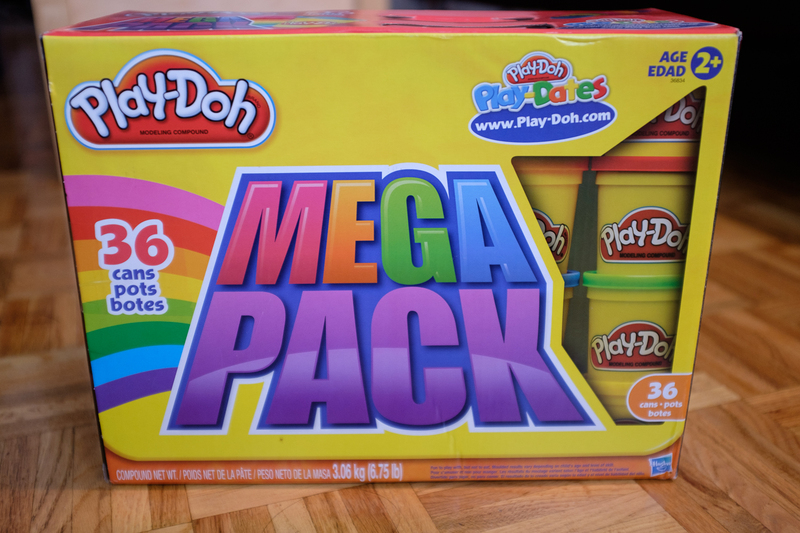 For my anniversary present, Nash bought me a pack of 36 Play-Doh! 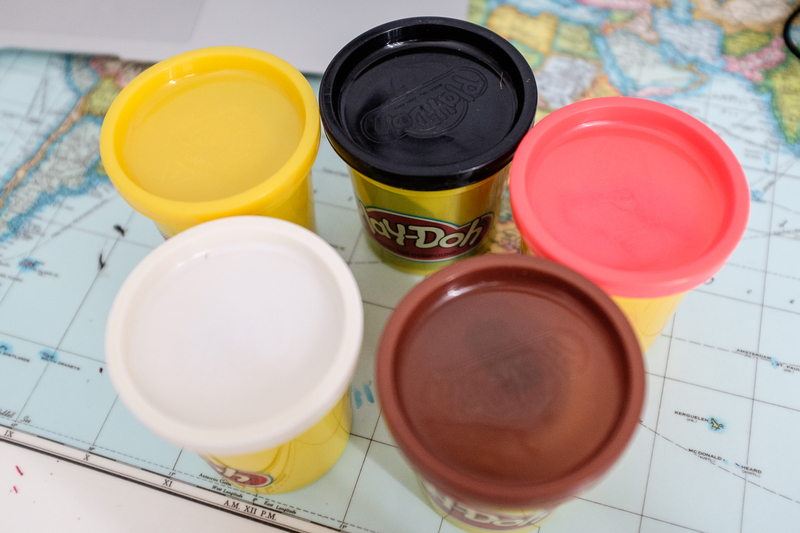 I love Play-Doh but I didn’t have it around as a kid because my mom thought it was too messy. The 36 colours lend to tons of possibilities so I thought what better way to use them than to try and make as many Pokemon as I can? I started with my favourite of course…. Pikachu! These are the colours I used for him! I love The Bloggess because she openly talks about her issues with anxiety and depression in a rather funny manner. 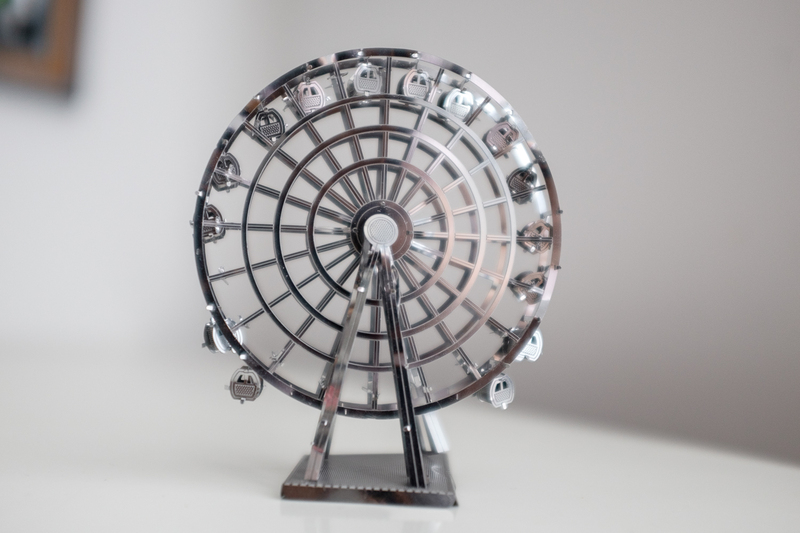 Not too long ago she shared how she builds random mini ferris wheels as a way to relax. So I hit up Amazon and found my own. The set arrived in a flat envelope in the mail. It was much smaller than I thought! 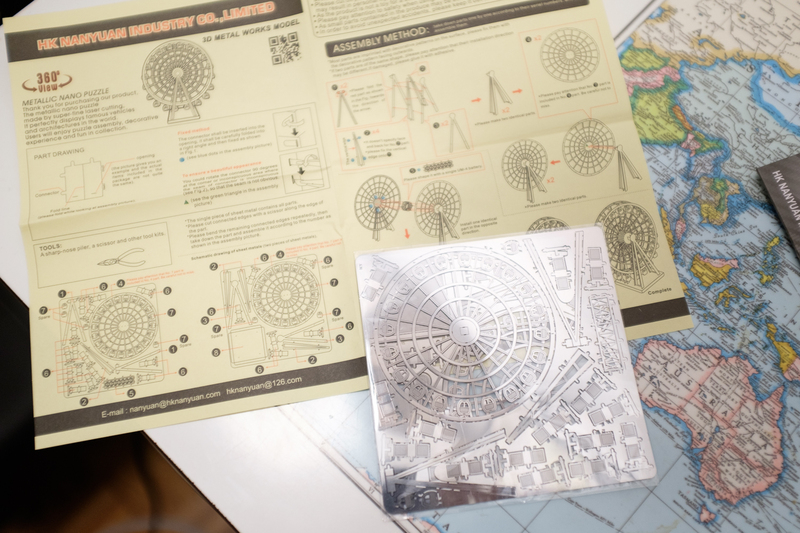 Inside were two metal sheets of pieces and instructions. Everything was self-explanatory, just a bit tedious and time consuming. It took me a while to delicately remove the pieces. There were extra parts of carts but not the main frame of the cart itself, so I broke like 6 while trying to fold them in the exact position for them to hang on the ferris wheel. Halfway through I realized tweezers made things way easier. 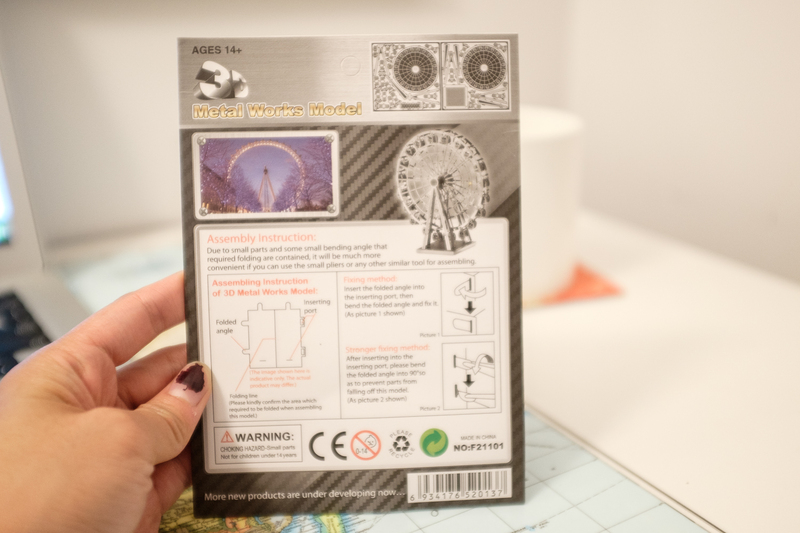 I had bought pliers prior to receiving this, but didn’t realize everything was so tiny. This was probably 2 hours into the project. It took a while to properly understand how to delicately fold things so that they stayed in place. Once I got the hang of building carts, I was in a groove. It was hard to concentrate on anything else while holding such delicate pieces so it was such a relaxing activity to do. To literally be forced to forget about everything else! There may have been missing carts (because the broken ones were impossible to superglue) I thought my final product was a masterpiece! I’m super proud to have dedicated time to building something super random and actually completing it. It was the offline break my mind needed. 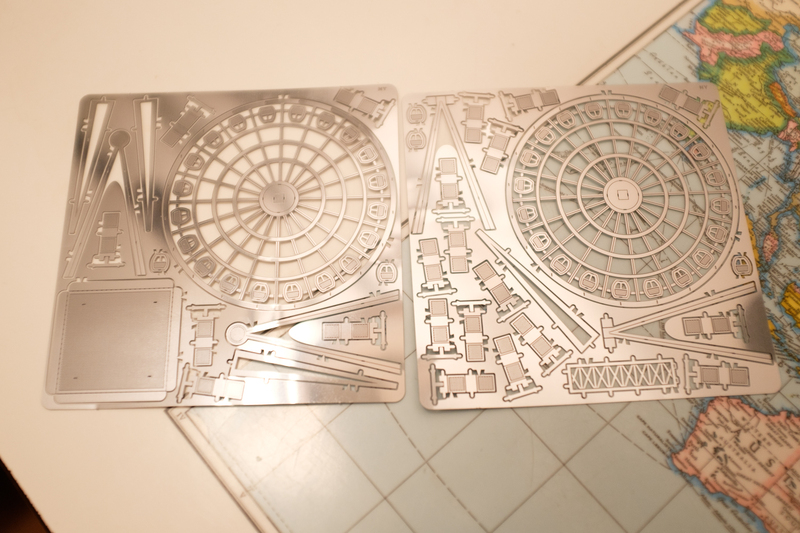 I totally want to do this again and am already researching other sets (there are some super geeky ones). They’re inexpensive enough to be okay with screwing one up or leaving them on the sidewalk for a child to find. When I moved into my apartment, my lease stated that I was not allowed to drill holes in the walls. It wasn’t until I decided to hang up my Wavelength Pop-Up Gallery photos that I decided to look for other ways to put stuff up that wouldn’t leave any marks. Then I found the entire line of Command damage-free wall hangs at Dollarama! Anyways, I decided to add a whiteboard to my creative corner and found a neat magnetic one from The Board Dudes that has a cork board frame. Now I’m ready to organize my thoughts and to-dos all in one place. I have a really bad habit of flagging too many e-mails or bookmarking too much stuff so this is a good way to mark down what is truly important. Sometimes the ease of digital things just gets in the way. I love having a little corner in my small apartment where I can dedicate to being creative, whether it’s making art with my drawer full of supplies or simply just writing. A designated spot to me is integral for productivity and also a lovely place to take a mental break. 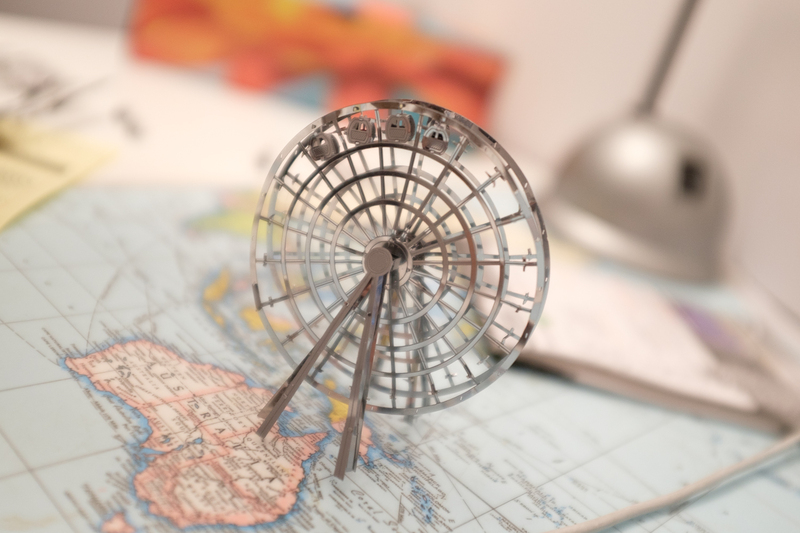 Do you designate a place to be creative? 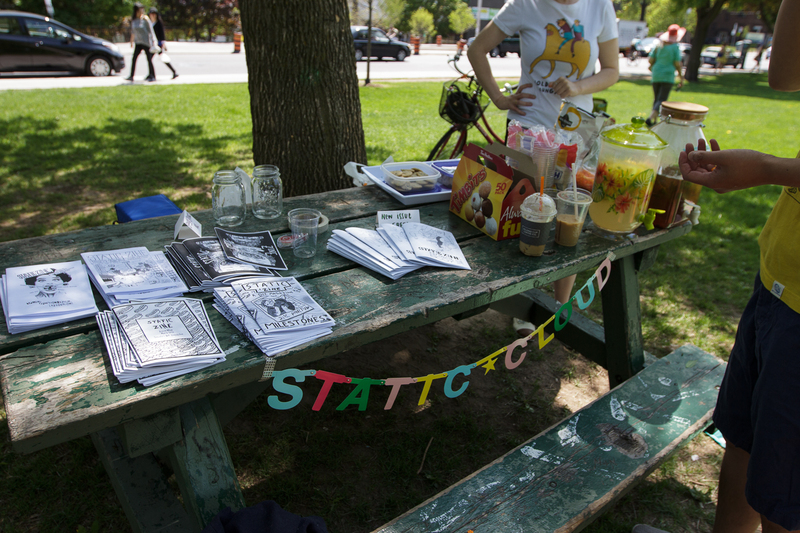 Yesterday, the Static Zine family celebrated the release of Issue #11 at Christie Pits with a mini picnic of treats and goodies. 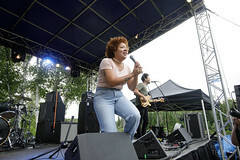 We were lucky enough to have perfect weather and Sasha Chapin played some music, attracting more potential zine readers. This month’s theme is Body and contains stories, illustrations and art detailing people’s relationships with their bodies. The issue will be available around Toronto at Sonic Boom and in random indie cafes. They should also be available soon on Etsy. So far I’ve contributed to 5-11 zines and will keep submitting. 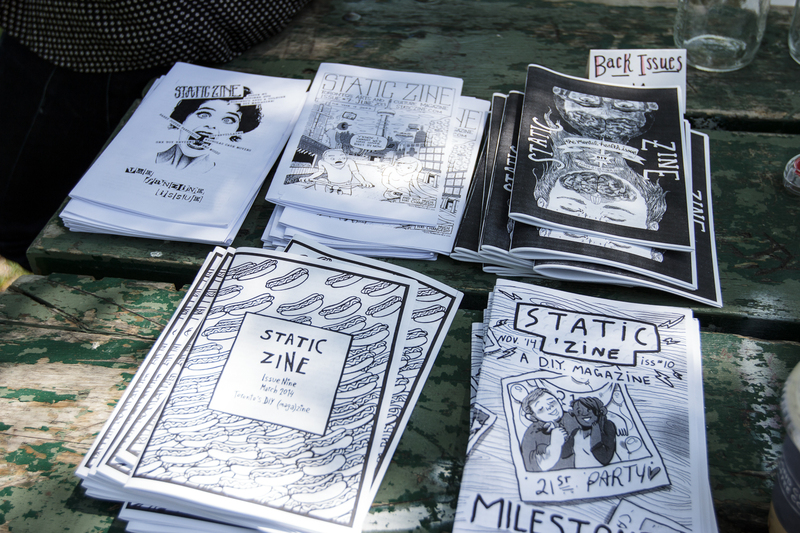 You can purchase some of the back issues for $1 on Static Cloud. I really enjoy being a part of this mini community that shares a piece of themselves through art and writing!